ROAM is a multi-centre, randomised controlled trial. The trial will randomise patients who have undergone gross total surgical resection of atypical (grade II) meningioma to receive either early adjuvant fractionated radiotherapy for 6 weeks (intervention) or active monitoring (comparator). The trial is funded by the National Institute for Health Research's Health Technology Assessment Programme (NIHR HTA) and is sponsored by The Walton Centre NHS Foundation Trust. 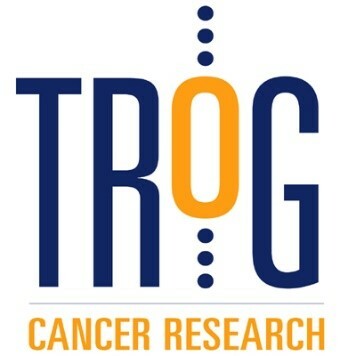 The day-to-day running of the trial, monitoring and analysis is being coordinated by a team at the Clinical Trials Research Centre (CTRC) at University of Liverpool. The data managment aspect of the trial will be managed by The European Organisation for Research and Treatment of Cancer (EORTC), Belgium. Absence of any psychological, familial, sociological or geographical condition potentially hampering compliance with the study protocol and follow-up schedule; those conditions should be discussed with the patient before registration in the trial. The study has been reviewed by a research ethics committee (North East – Newcastle & North Tyneside 2), who have agreed the study is being conducted in a correct and appropriate manner. Why are we doing this research study? The primary objective of the ROAM trial is to determine whether early adjuvant fractionated external beam radiotherapy reduces the risk of tumour recurrence compared to active monitoring in newly diagnosed atypical meningioma. Meningiomas comprise 25-33% of adult primary brain tumours. The annual UK incidence of atypical meningioma is 0.2-0.5 / 100,000 / year and ~150 undergo surgical resection each year. Since the publication of the 2000 WHO classification, the reported incidence of atypical meningioma has risen to 20-35%, nevertheless they remain very rare. Benign (grade I) meningioma have a low risk of recurrence (~10% at 5 years) following surgical resection and are managed by active monitoring with MRI scans. Adjuvant radiotherapy is indicated for anaplastic (grade III) meningioma to prolong time to recurrence however 5-year progression free survival is only ~10%. The role of radiotherapy in atypical (grade II) meningioma after gross total resection has not been defined and there is no agreement on the current standard of care for patients with atypical meningioma. 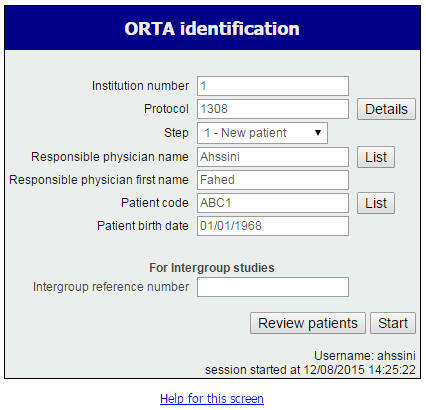 Participants will be randomised via the EORTC Online Randomised Trials Access (ORTA) system. ORTA runs in a standard web browser, requires Java to be installed on the PC being used and can be accessed here. The log in details to be used are the same as those assigned for the EORTC database. ORTA will go through the inclusion/ exclusion criteria, one by one. Once a participant is randomised, a message will appear detailing the allocated arm; this information will also be emailed to the PI/ROAM team. Approximately 1 hour after randomisation, the participant's CRFs will be visible on the EORTC database. In case of problems randomising online, randomisation can be carried out via the EORTC call centre: (+32) 2774 1600. The call centre is available 09:00 - 17:00 (Belgian local time) from Monday to Friday. Randomisation via the call centre is not available on Belgian holidays - a list of these holidays is available on the EORTC website and is updated annually. The ROAM trial is funded by NIHR HTA Programme (12/173/14). The information contained in this website is for general information about the ROAM trial and is provided by the University of Liverpool Clinical Trials Research Centre. The views expressed are those of the authors and are not intended to be representative of the views of the funder, sponsor or other participating organisations.